Why Typography Matters In UX? Typography might not be the first thing that comes to your mind when designing your web and mobile interface. The content you present to your audience forms the crux, indeed. Users should be able to follow the flow of text and layout and take specific actions. However, first impression matters a lot. And this is the reason why typography matters in UX. The thought is a simple one. The reason businesses have a website is to create the first point of contact with their customers. The website is their online representative who is supposed to do some marketing on its own. As is true for all client-facing roles, the appearance should be sharp and confident. The language should be easy. The manner should be conversational. And the use of varying colors, sizes, and fonts should collectively showcase a great body language. Think of your website like a person, a marketing executive. Now think: how you would like it to be? Achieving the right typography in UX designing is not very difficult. There is no strict, industry-specific guideline that needs to be followed. What is required is a clear understanding of the target audience and what pleases them. The font should be easy on the eyes and easy to read. Nowadays, there is a lot of content dispersed throughout the internet. People prefer skimming through content rather than reading it thoroughly. If you want to catch their attention, you can do it with some stunning, classy, yet simple typography. Typography is useful when it comes to enhancing the graphics of a mobile app. With correct usage, you can use typography to make a huge impact in the minds of your audience. 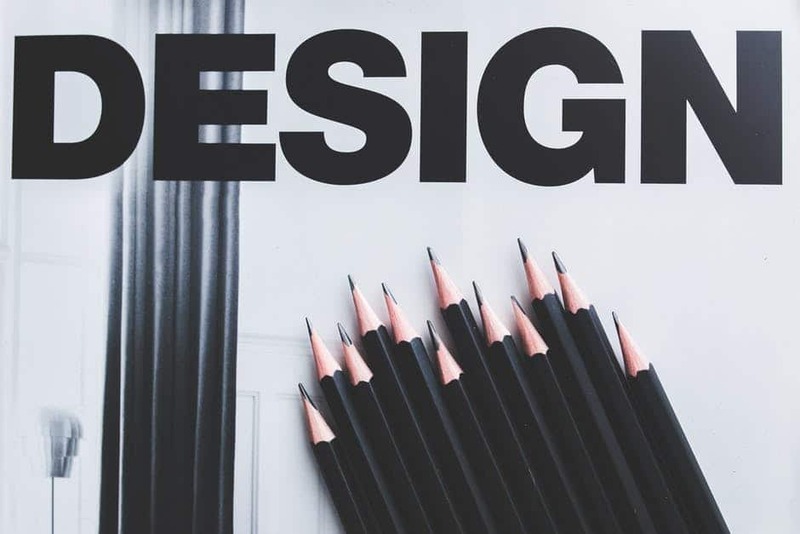 If you would like to elicit response from your them, in the form of clicking a button, requesting more information, or making a purchase, typography can help you do that by encouraging responsiveness. If you think voice modulation and body language is hard to convey through written text, that wouldn’t be true. By using the right fonts, sizes, and style you not only help the readers understand the tone but also give an understanding of the age and gender of the person who is speaking to them. Enhance your app and hold your audience’s attention by using applying the typography that ensures maximum audience engagement. Describe your brand’s offering and its character through the right choice of typography. Read this article on Errol Morris’ interesting experiment to find out which typefaces work better than the other. Simply put, it’s Baskerville vs. Georgia for every interface you create, which will ring better with your audience. It’s your perception vs. your audience’s preference. The closer you are to the latter, higher the chances of hitting bull’s eye with the right typography. Typography errors can cost you a lot if you aren’t careful enough. Here are a few things that you should avoid at all costs. It goes without saying that Comic Sans is not the right choice for corporate website, for example, one that deals in finance, technology, data security, etc. Similarly, using Chiller for showcasing baby products on a e-commerce website would be an equally bad idea. This issue causes some major pain points for users who are unable to read entire texts easily as they sometimes blend into the background. A grayish white background can call for black or white font. But, what if the white starts blending in and is rendered unreadable? Things like this happen and I am sure, we must have come across an interface which has posed this problem once, at least. High contrasting colors, unless it’s black or white, should be avoided as they hurt the eye. However, contrasting colors in light pastels might work out well, in most cases. When in doubt you can always refer to come color palettes to ensure you have the right combination of background and text colors. Not having sufficient spacing between two lines can make it difficult to read for users. Also, having too much space in between is just not practical and is simply wastage of space. The balancing act is not difficult. Designers just have to be mindful of the fact and ensure the line heights as seen on desktop is the same in the mobile view, as well. Too small, or too large fonts: Decent font sizes will help your users read and understand better. Text shouldn’t be too small that users need to squint, nor should they be too large that it feels like we are shouting out the message to them. Also, if you are using a large font (example: Avenir – 46 pts.) for a heading and the small size of the same font (example: Avenir – 24 pts. ), you really don’t need to bold the heading as it is already prominent enough. Once you have created the mobile app/ website, wait a bit before publishing it. Leave it for a while. Take some time and review it again. If there are any flaws, it will be visible to you without much effort. You can always get a fresh pair of eyes to check and point out any improvements needed. This is always a great idea. Overall, typography is a rather lenient area in designing which lets you experiment and allows you to create an interface which literally talks to your users. It depends on you on how you apply the understanding of your user base in creating a user experience which will leave your customers delighted. At Roars, we put in thought and research in ascertaining every aspect of ux design. Typography is no exception. Check out some of the apps we created, to find out how we used different typefaces based on different audience. Would you like some help with your app designing, we would love to help you out.